Medical students in China go through a peril of severe stress because they are unprepared for the transition from academic to clinical training, a study has found. In a study of almost 1700 medical students, researchers from the Centre for Medical Education at China Medical University, Shenyang found that students showed major impairments to "psychological health and social relations" in the third year of their studies. They say this may be because third year students face greater academic pressure, with longer hours of lectures and practical work compared to those in other academic years. 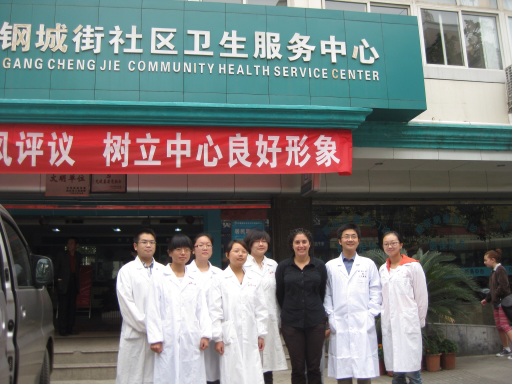 The third year represents the transition to the clinical years in China but students have more academic courses and little education about communication with patients and end of life issues. "At this time they are experiencing contact with real patients for the first time and yet they do not have enough knowledge and skills to interact with patients, especially dying patients. Therefore, medical schools need to take measures to give more support for third year students," they suggest. "Medical educators could carry out curriculum reforms that introduce problem-based learning (PBL), integrated courses and early exposure to clinical training. These reforms would relieve students’ academic load through balancing the curriculum of basic science and clinical medicine in different years. It is also very important that we give students more support, which includes enhancing student competency in communication and professionalism and giving students the necessary tools and instruction on how to relieve stress and strain during their medical training. All this could reduce the impairment in physical and mental health of medical students. The study also found that medical students from rural areas were also found to have poor psychological health and social relations. This may be because they have had to leave their homes and adapt to new life in the city, facing "urban culture shock". Students from poor rural areas tend to have lower self-esteem and problems in dealing with social relationships, and they may feel that their experience scope is more limited and that their living situations may be more difficult. Rural students are also less wealthy and may struggle financially. "Medical schools need to pay attention to showing concern for their psychological problems and give them the necessary psychological counseling and financial support."